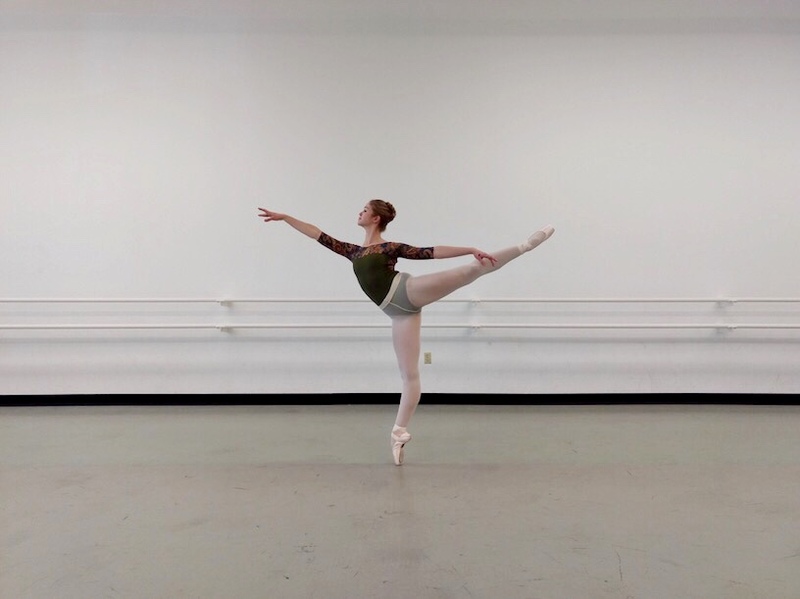 It is our pleasure to welcome Kennedy Ditzhazy to Ballet 5:8 as a Company Apprentice for the 2018-2019 Season. We've asked each of the new dancers a few questions so we can get to know them before the season begins. Q. Where will you be coming to Ballet 5:8 from? Where are you from originally? A. I’ll be joining Ballet 5:8 after having spent the past two seasons in Las Vegas, NV with Nevada Ballet Theater. Although I’m fortunate to have met SO many amazing people while living in Vegas, I’m extremely grateful to be closer to Columbus, OH, which is near my hometown and where my family lives currently. Q. What attracted you to Ballet 5:8? A. From the moment I left for college and began living on my own, I’ve had a strong desire to become more grounded and in touch with my faith. At first, it was more of a personal and private journey, but quickly expanded to a public endeavor, where I enjoyed sharing this overwhelming feeling of love with my family and close friends. When I realized Ballet 5:8’s mission was perfectly aligned with my belief system, I knew that this company was where I needed to be to grow and contribute on so many levels. Q. Why do you dance? A. I began dancing alongside my older sister. At first, I was following her lead, but once I was old enough to think on my own, I realized that the feeling I enjoyed when performing on stage was something I couldn’t get enough of. Sharing my inner ‘light’ with the audience has always been my joy. A quote from Tyler Perry pretty much sums it up; at an awards ceremony, Tyler mentioned to a crowd, “I’m sorry. I know it’s not politically correct to talk about God and faith these days, but oh well, they gave me a microphone.” I truly believe that everyone on this earth is here for a reason, and if I’ve been given the gift of dance, that’s what I’m gonna do! Q. What is something you enjoy about Chicago or think you’ll enjoy about Chicago? A. I’m looking forward to biting into my first authentic Chicago deep dish pizza! Q. What is one thing people will be surprised to learn about you? A. People may be surprised to learn that I like watching scary movies BUT I can’t watch them by myself! Q. What are you most looking forward to about the coming performance season? A. I’m really looking forward to getting to know everyone on staff and the other artists on a more personal level. In particular, I’m excited to perform the choreography for The Space in Between, inspired by The Great Divorce by C.S. Lewis, because he’s an author I have a lot of admiration for.